Chefs at The Royal Hawaiian are held to the highest standard at The Royal Hawaiian’s world-famous venues for fine cuisine, cocktails and entertainment. 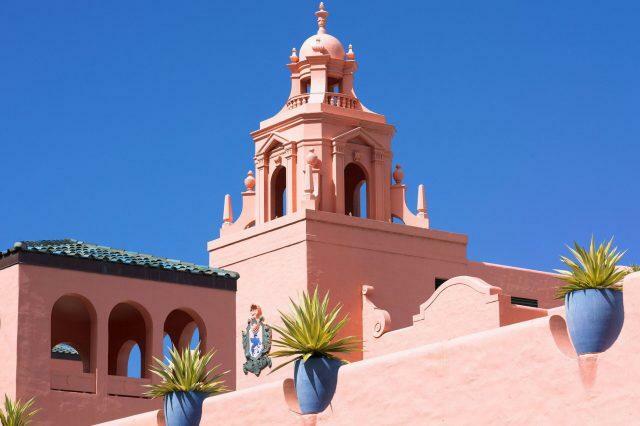 The famed “Pink Palace of the Pacific” has set the standard for luxurious and glamorous travel for more than 80 years. 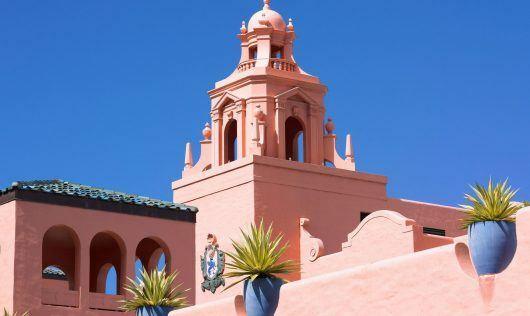 In early 2009 The Royal Hawaiian, the hotel that mesmerized Hawai‘i’s early travelers will re-open its doors as Waikiki’s most fashionable destination. Emerging from a multimillion-dollar re-imagination with a radiant new face and an entirely new attitude, the Royal Hawaiian offers discerning travelers a redefined luxury experience filled with rich tradition customized services, exclusive settings and amenities, as well as the brand new Azure restaurant and rejuvenating Abhasa Spa. 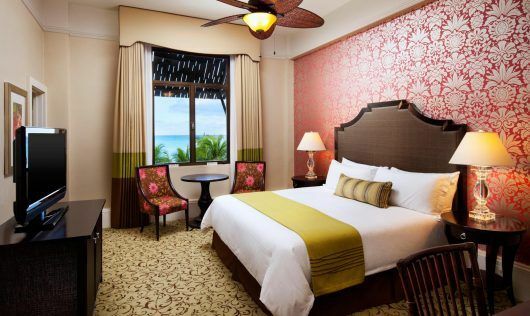 Set on 14 beachfront acres, the 529 guest rooms, including 35 suites, The Royal Hawaiian will capture the imagination with its opulent architecture and majestic and storied history amid Diamond Head’s picturesque setting. 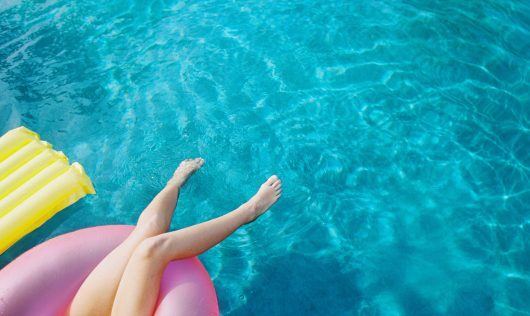 A member of Starwood Hotels & Resort’s Luxury Collection, the Royal Hawaiian has again redefined luxury. The celebrated Mai Tai Bar sets the stage for world-class romance and elegant relaxation. Numerous heads of state, Hollywood stars and international jetsetters have mingled with kama‘aina (island residents) to imbibe refreshing tropical cocktails while sipping in the breathtaking panorama of Diamond Head, Waikiki beach and the sparkling Pacific Ocean. Your memorable Hawai‘i experience begins at this inimitable beachfront bar when you lounge listening to modern mele (songs) performed every evening by the island’s most talented musicians. Refreshing cocktails, light gourmet tapas and the Mai Tai Bar’s iconic beachfront – all contribute to leaving you with an exquisite indelible imprint of our idyllic island lifestyle. The Surf Lana‘i is a chic poolside enclave offering breakfast and lunch al fresco between interludes of frolicking in the sparkling Pacific Ocean or serene freshwater pool. Crisp white linens commingle with captivating island flowers and vivid table top accents to complement the chefs’ presentation of continental epicure delights. The menu is contemporary Hawai‘i cuisine – the chefs infuse authentic island ingredients with international preparation techniques. The Surf Lana‘i provides a stimulating repast to start an extraordinary day. The entry to unrivaled epicurean experiences is illuminated by a wall of mother-of-pearl mosaic opening to a bejeweled oceanfront space adorned with intimate candles, plush banquettes and pillows. 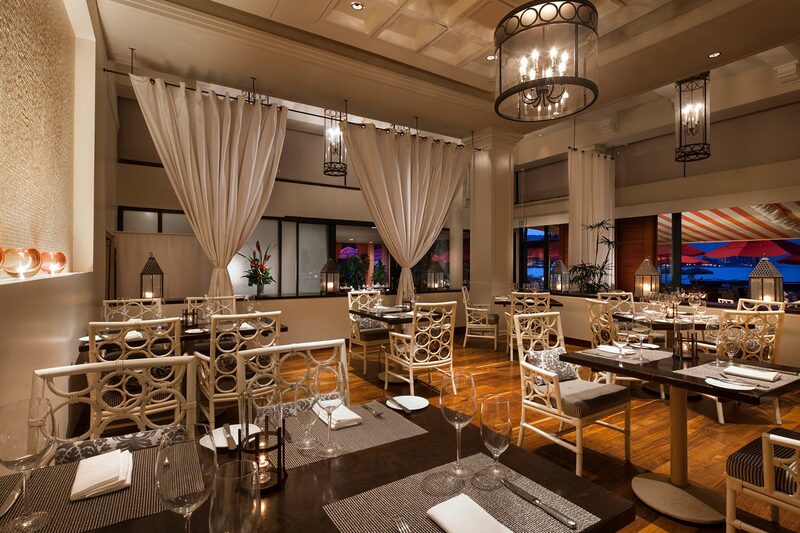 The Royal Hawaiian presents Azure – a world-class restaurant perched along the Waikiki beachfront under the canopy of hotel’s dramatic architecture. Fish and the freshest fruits de mer is the forte of Azure. Whether it is ahi, opah, onaga, uku or moi that whets your appetite – locally caught fish are selected each morning at daybreak from the Hawaii fish auction and then prepared with your pleasure in mind. Choose between a classic preparation of high heat aromatic herb roasting or an innovative Hawaiian regional cuisine preparation served with bright tropical flavors. Expert servers and sommeliers provide intuitive recommendations for perfect wine pairing to accent the delicate flavors of the ocean. 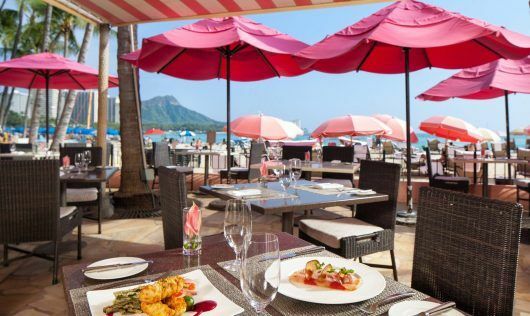 The Royal Hawaiian, a Luxury Collection Resort also offers guests a convenient way to enjoy the restaurants at the other three Starwood Waikiki properties. 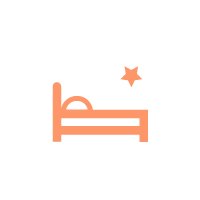 For more information about this Stay at One, Dine at All program, please click Learn More. 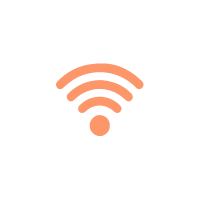 Guests staying at any of the four Starwood Resorts in Waikiki can take advantage of a Stay at One, Dine at All program that allows for centralized billing. Guests may charge resort restaurant meals at any of the four Waikiki properties to their guestroom. 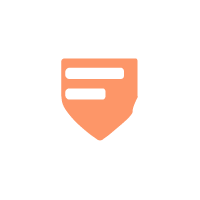 The guest is then presented with one bill upon checkout. 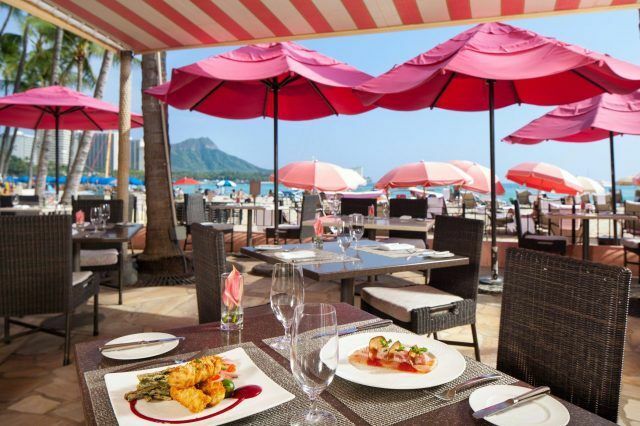 This unique credit program makes it more convenient for guests to enjoy the range of culinary offerings at The Royal Hawaiian, a Luxury Collection Resort, as well as at Sheraton Waikiki, the Moana Surfrider, A Westin Resort & Spa, and the Sheraton Princess Kaiulani.